Police are turning to the international social media community to try to solve a mystery death in the Yorkshire Dales. The body of a woman was found by walkers near the Pennine Way 14 years ago, but her identity has never been established. North Yorkshire Police said the dead woman was probably of south Asian origin and are using messages in English, Filipino, and Thai to try to solve the mystery of who she was. They are using posts across the North of England to try to help identify her. 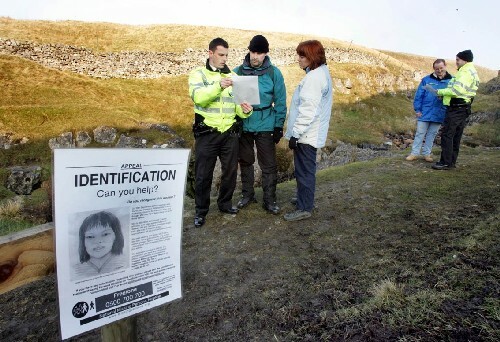 The body was discovered next to Sell Gill Holes on the flanks of Pen-y-ghent in 2004. Extensive enquiries by the police failed to ascertain who she was. An open verdict was recorded by coroner Geoff Fell on the woman, and she was buried in the churchyard of St Oswald’s Church in nearby Horton in Ribblesdale. The parish council donated a plot and villagers launched an appeal to pay for a headstone for the woman’s grave. North Yorkshire Police said she had been in the UK for at least two years, and most probably lived in the Lancashire, Cumbria or western Dales area. “She could have originally been from countries including the Philippines, Thailand, Myanmar, Laos, Vietnam, Malaysia, Singapore and Indonesia,” a spokesperson said. “She will last have been in contact with friends or family members in 2004, and people may well have been told that she had ‘gone back home’ around that time. “When she died, she was probably aged between 25 and 35 years old and had black hair, cut above the shoulder. She was quite short: about 4ft 11ins (1.5m) tall. 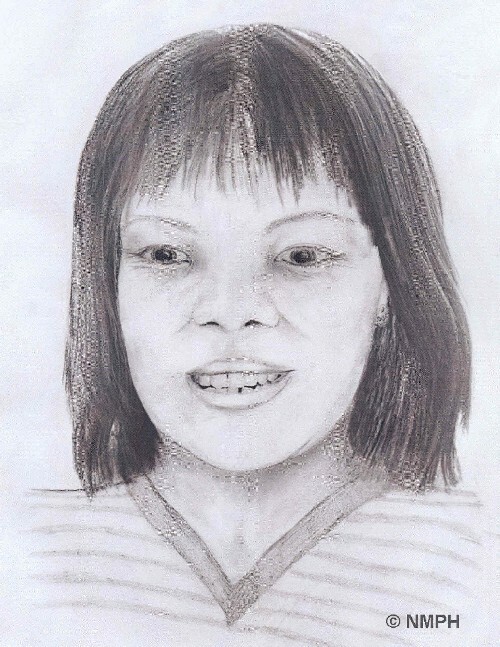 “She had a wedding ring, and is believed to have had children or been pregnant in the past. Cold case review officers have set up a community group on Facebook, and are urging people with links to south-east Asia to join and help share the fresh appeal with their friends both in the UK and abroad. The page has messages in English, Filipino, and Thai. Adam Harland, of North Yorkshire Police’s cold case review unit, said: “It has been 14 years since this woman’s body was found in the Yorkshire Dales, and despite extensive enquiries in this country and abroad she has not been identified. “It’s possible that she was last in contact with others in 2004, and people in the UK may well have been told that she had ‘gone back home’ around that time. When the mystery woman was found, she was wearing green Marks and Spencer jeans, size 12, light-coloured socks, a white bra and black pants size 10-12. A turquoise and white horizontally striped t-shirt, size 10-12, was found nearby. She wore a gold ring on the third finger of her left hand. The ring was 22 carat or above and was manufactured in Thailand. Both ears were pierced, but she wore no earrings. There was no sign of any footwear, jacket or baggage. Police said they believed she was a non-smoker. She had a gap at the front of her lower teeth which would have been noticeable when she smiled. From evidence of toothbrush use she was probably right-handed, they said. The woman had a coil fitted, but had had a pregnancy in the past. They even said there was an indication that when she was young her growth was arrested because of a childhood disease such as measles. As part of the investigation, the Sell Gill Holes cave system was searched four times, including sections only accessible by skilled cave divers. Walkers using the Pennine Way and tackling the Three Peaks were traced and contacted via hostels, hotels and cafes. Posters were put up throughout the area and house-to-house inquiries were made in all the villages nearby. Witness-appeal letters, in a variety of languages, were sent to holidaymakers staying at hotels and B&Bs in the Dales, all to no avail.